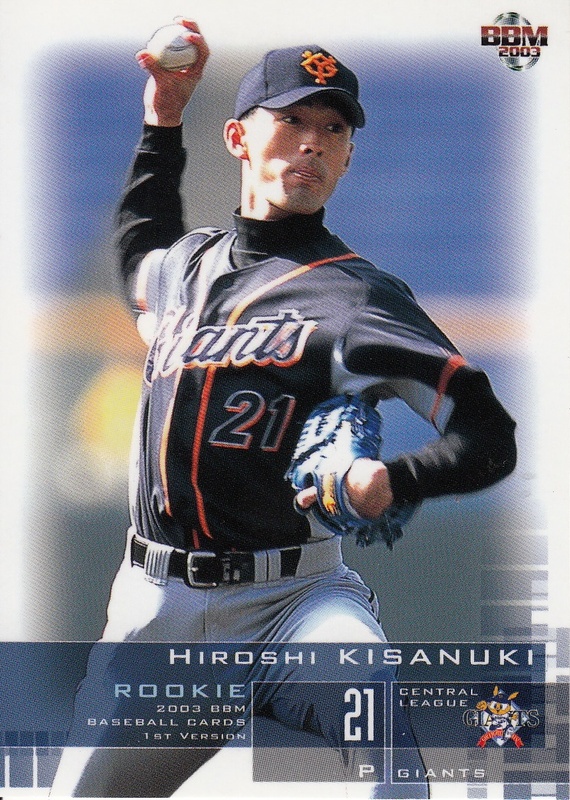 Fighters pitcher Hiroshi Kisanuki announced his retirement back at the end of September. 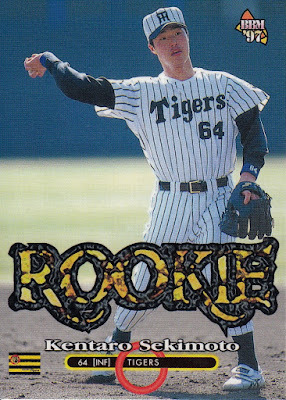 Kisanuki was originally signed by the Yomiuri Giants back in 2002 out of Asia University - I'm not entirely sure but it appears there was some sort of "free acquisition frame" during the 2002 draft. 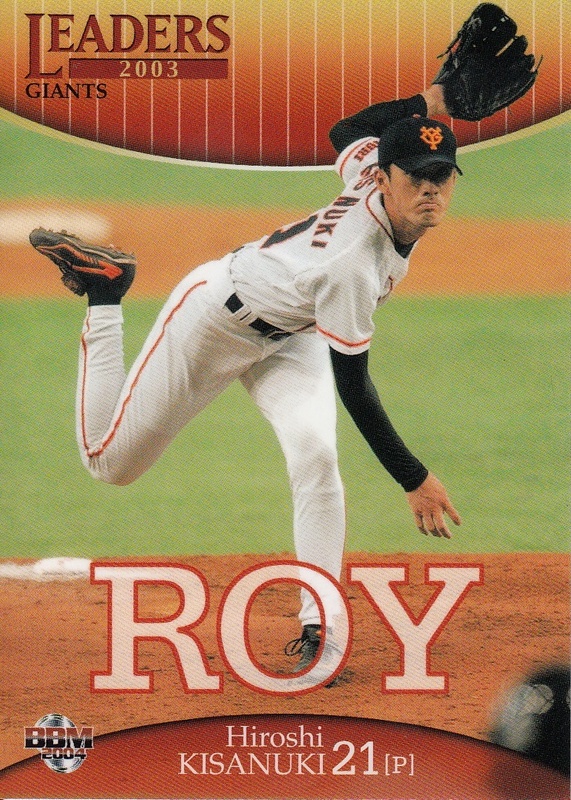 He went 10-7 for the Giants that season with a 3.34 ERA and 180 strikeouts (in 175 innings) and was named Rookie Of The Year (as well as making the All Star team). He topped off that rookie season by playing for the Japanese National Team in the Asian Games that November. His numbers declined after that season and he had some shoulder injuries as well. 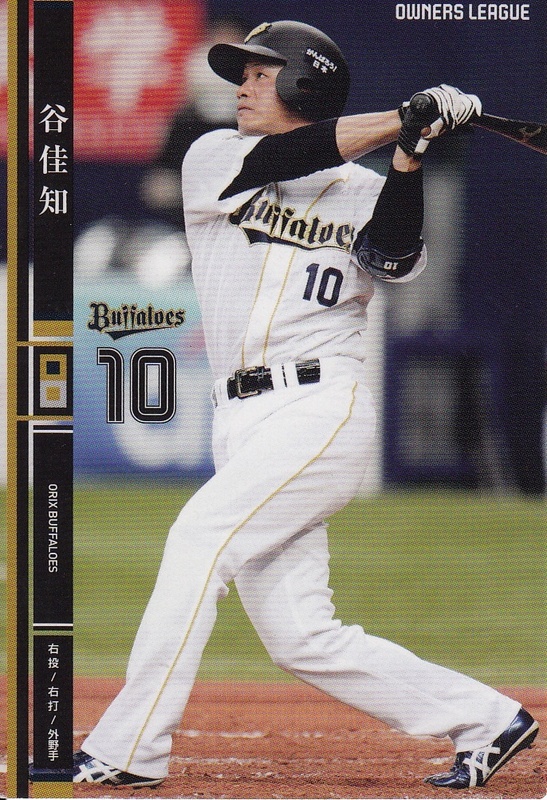 He was traded to Orix for Yasunori Takagi following the 2009 season. 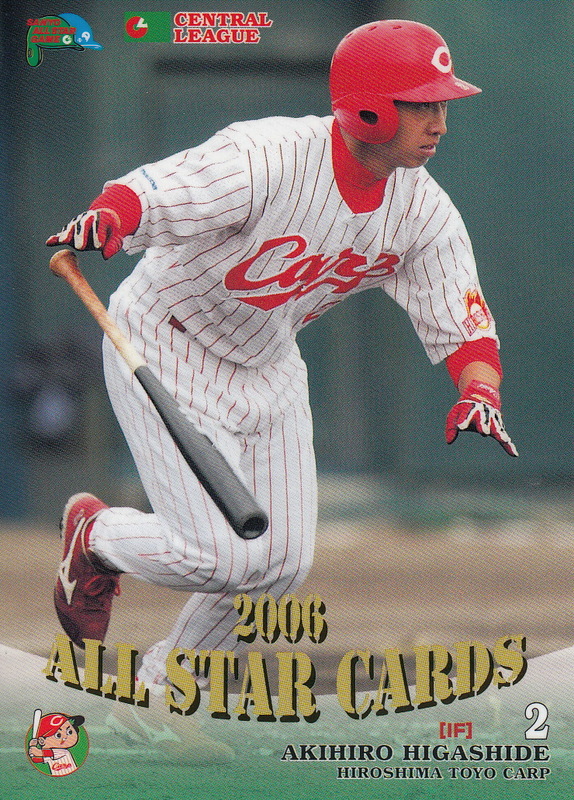 He rebounded somewhat in 2010, going 10-12 and making his second All Star team. He pitched fairly effectively for Orix before they traded him to the Fighters in early 2013 as part of the Yoshio Itoi deal. 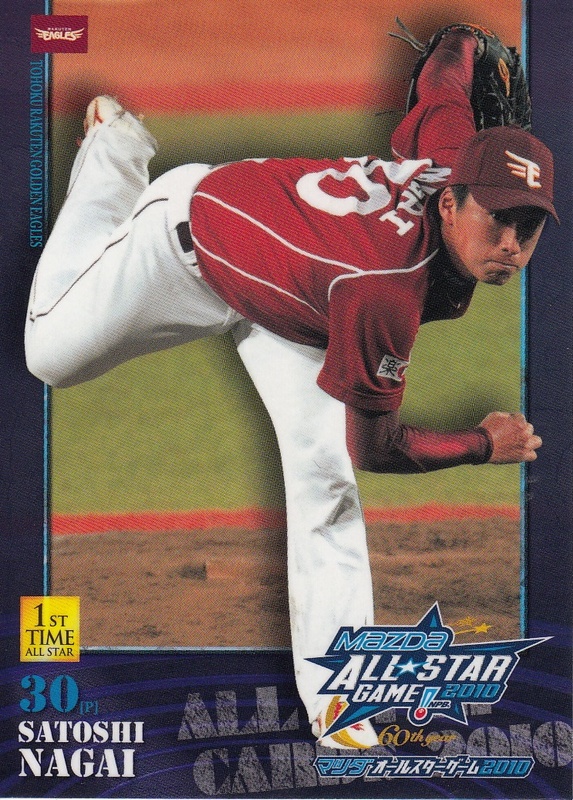 He went 9-8 in 2013 and made his third All Star team (he made the All Star team in his first year with each of the three teams he played for). 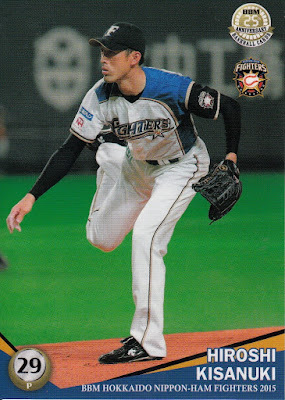 He spent most of 2014 and 2015 with the Fighter's farm team. Kentaro Sekimoto is yet another player who retired at the end of the 2015 season. 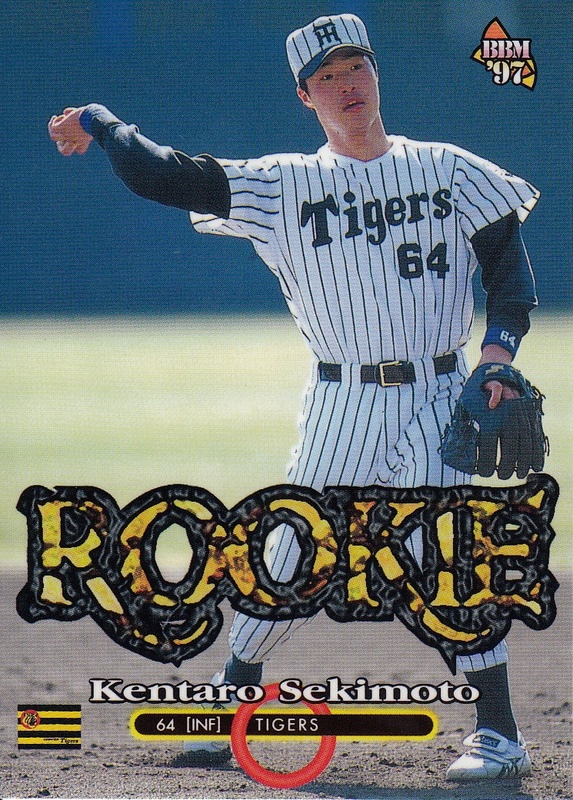 Sekimoto was drafted out of high school in the second round of the 1996 draft by the Tigers (Makoto Imaoka was the first round pick). He made his ichi-gun debut in 2000 by appearing in 2 games but it wasn't until 2002 that he really made it to the top team. He was a regular at both second and third base for the Tigers between about 2006 and 2008 and he was a top pinch hitter for the team both before and after that time span. He played for the Tigers in both the 2003 and 2005 Nippon Series. 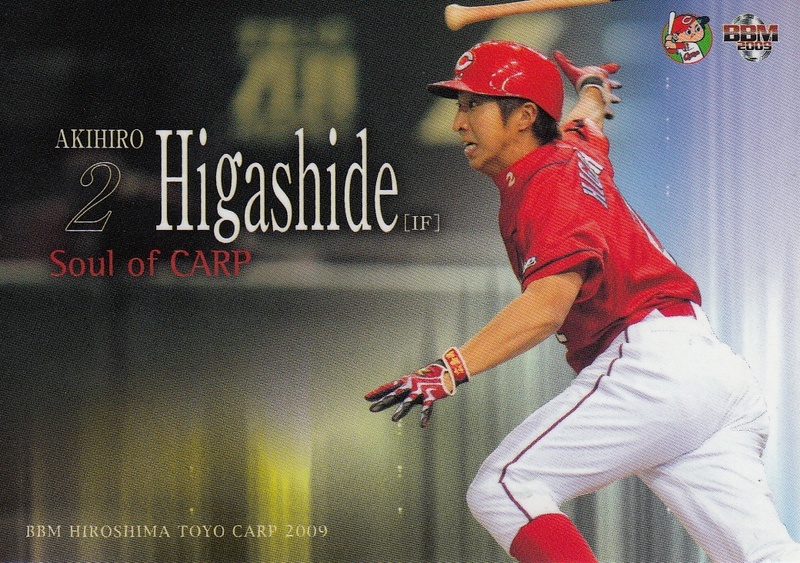 Another retiring player was Akihiro Higashide of the Carp. 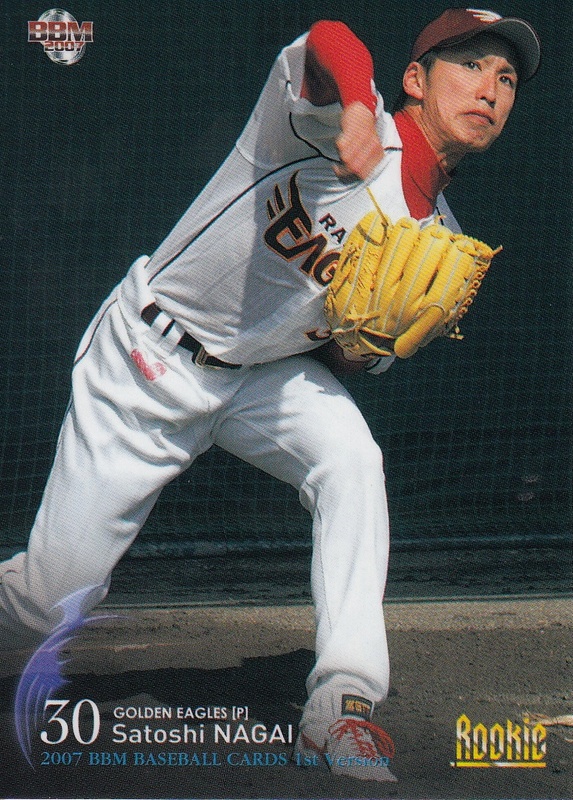 You'd be forgiven if you thought he'd already retired - he hasn't appeared at the ichi-gun level since 2012. 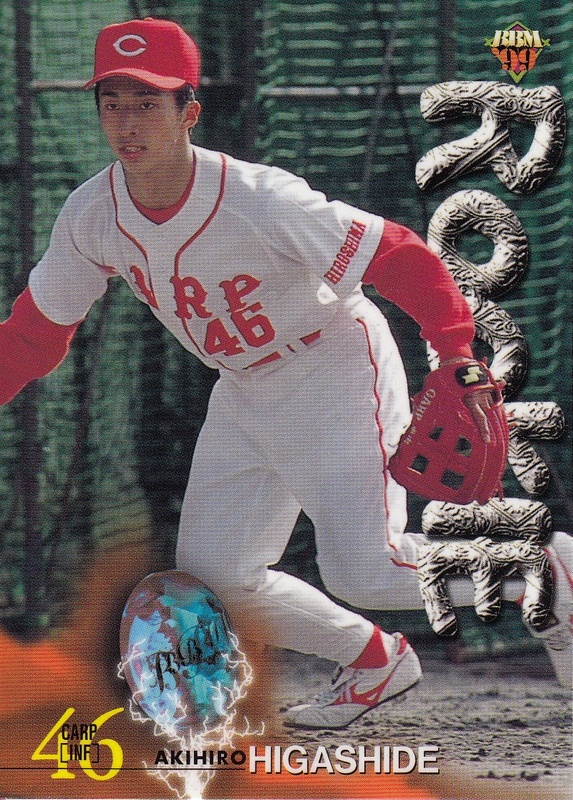 He was drafted in the first round of the 1998 draft by the Carp out of Tsuruga Kehi High School. 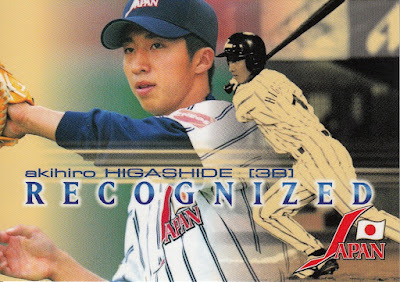 His best seasons were between 2006-10 - he made the All Star team in 2006, 2008-10 and was named to the Best 9 team in 2008 and 2009. He injured his knee in spring training of 2013 and has never really recovered. The Carp made him the ni-gun hitting coach last spring so he spent 2015 as a player-coach. 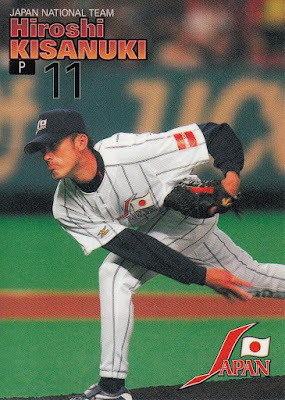 He also played for the Japanese National Team in the 2001 Baseball World Cup. 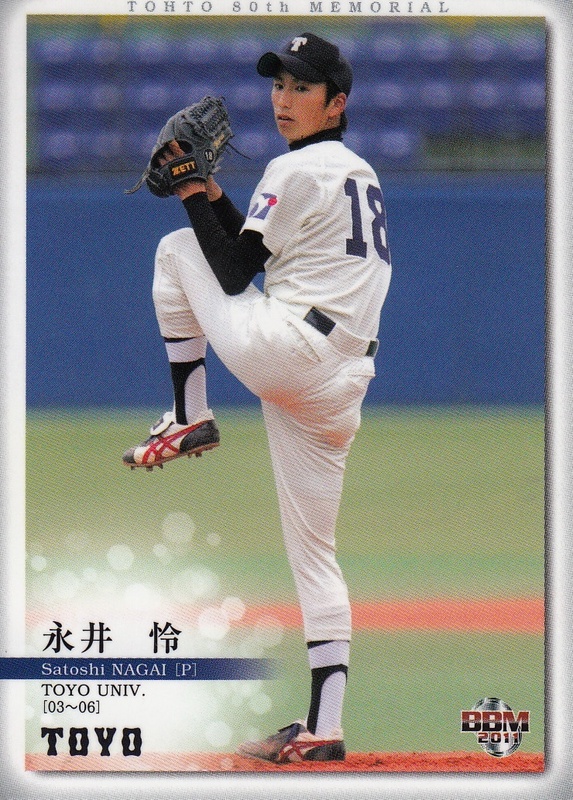 Eagles pitcher Satoshi Nagai retired at the end of the season. 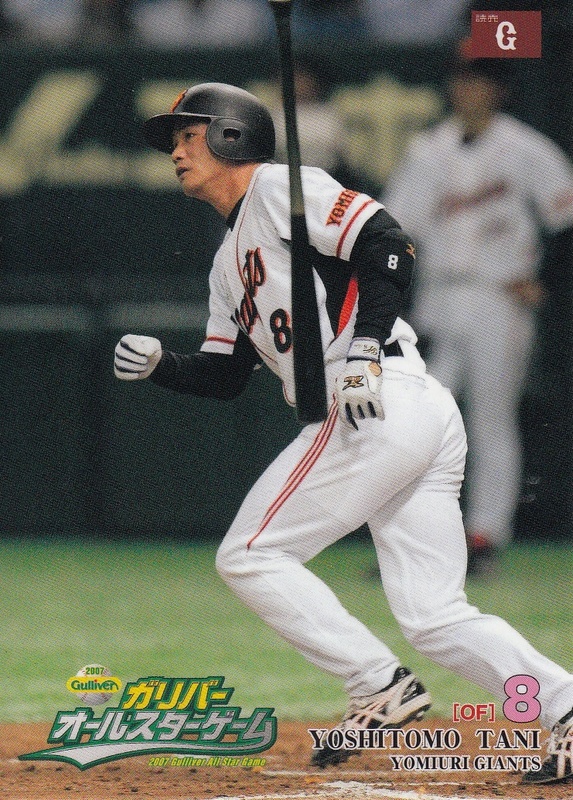 Nagai was taken in the first round of the 2006 draft by the Eagles out of Toyo University*. 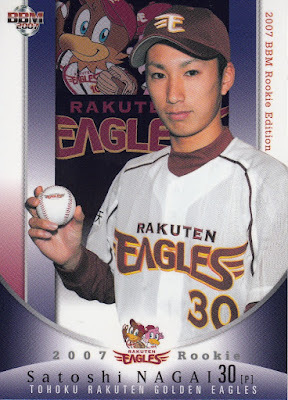 He had a couple good years for the Eagles in 2009-11 as probably the #3 guy in the starting rotation after Hisashi Iwakuma and Masahiro Tanaka. He made the All Star team in 2010. 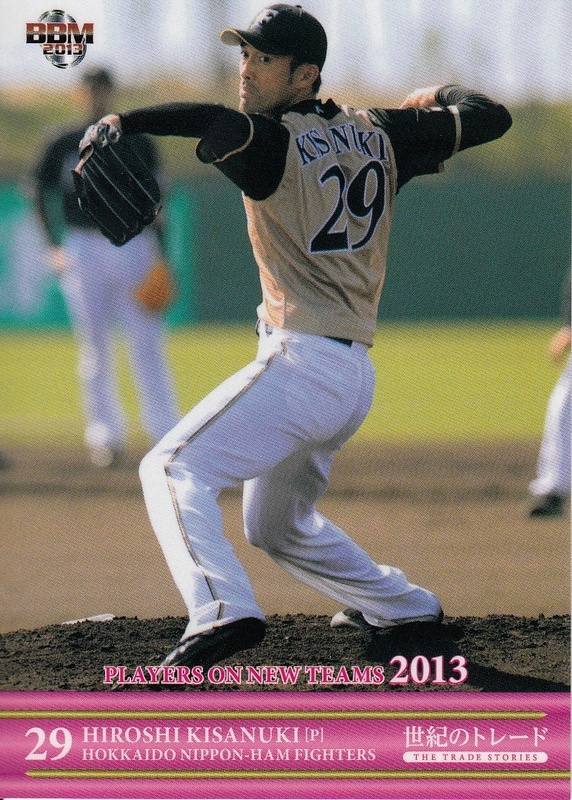 He injured his shoulder in the middle of the 2011 season which pretty much ended his effectiveness. 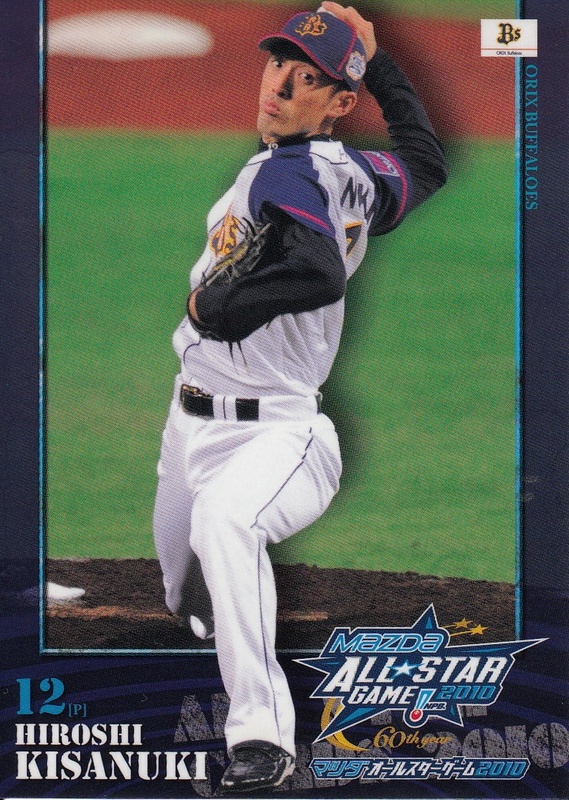 *You're probably saying to yourself "No, that's not right - Masahiro Tanaka was the first round pick of the Eagles in the 2006 draft". 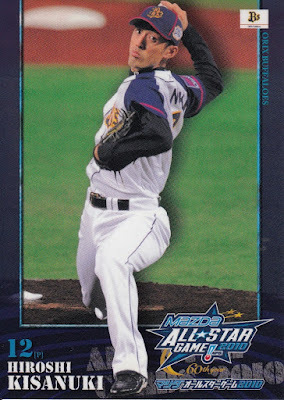 It turns out that we're both right - there were two different drafts in 2006 - one of just high school students and one of college and industrial league players. Tanaka was the first round pick in the high school draft and Nagai was the first round pick in the college/industrial league draft. Yoshitomo Tani is yet another player who announced his retirement this season. 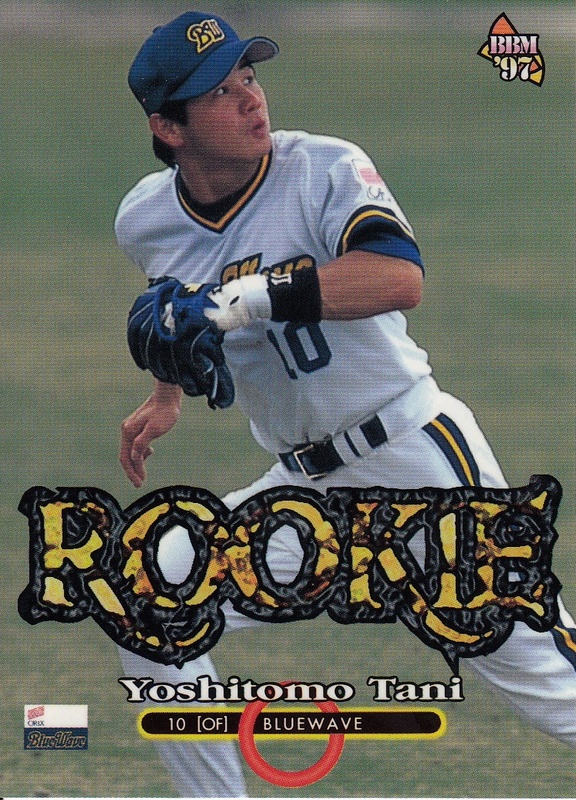 Tani was drafted by the then Orix Blue Wave in the second round of the fall 1996 draft. He debuted with the ichi-gun Blue Wave the following May. 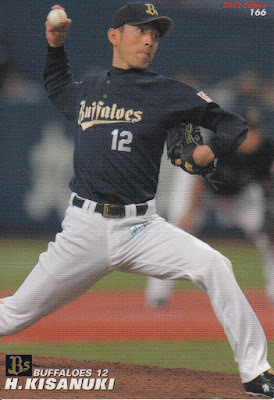 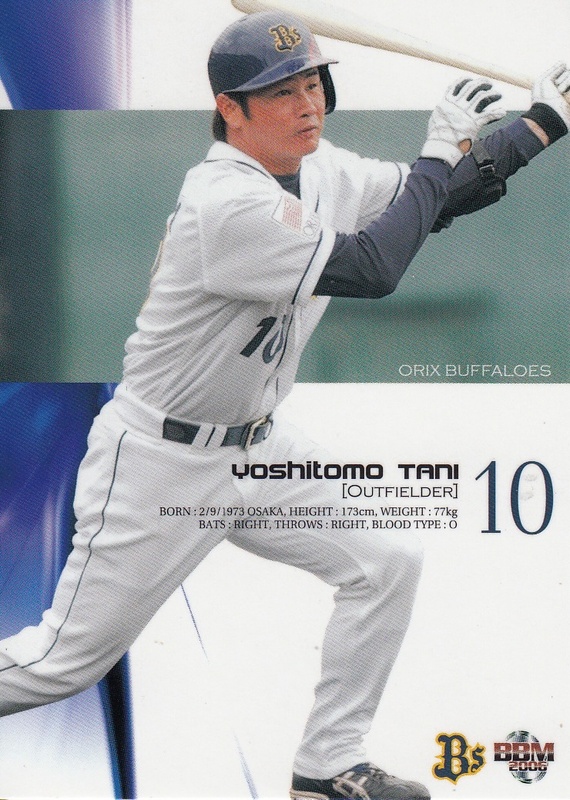 After 10 seasons with Orix, he was traded to the Yomiuri Giants for Masahiro Nagata and Takashi Kamoshida. He spent seven seasons with the Giants (2007-13). 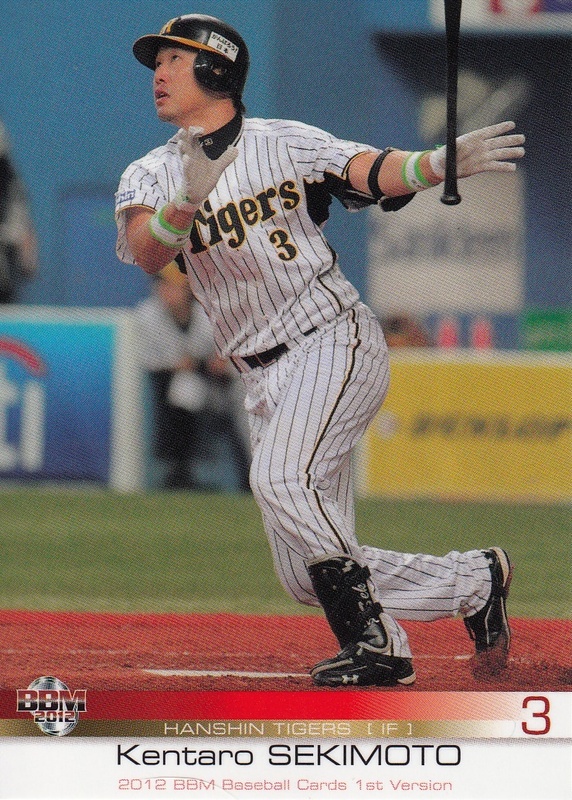 The Giants released him following the 2013 season and he returned to Orix for the last two years. Tani's best seasons all came when he played with Orix. He was named to the post-season Best 9 team five times (1999, 2001-04) and won the Golden Glove award four times (2001-04). 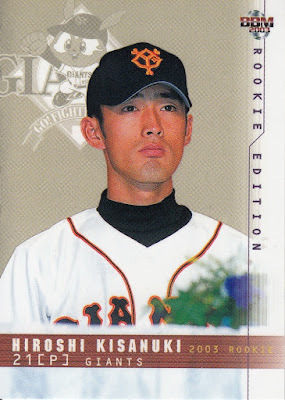 He made the All Star time six times (2001-04, 2006-07) - the last time was the only time he made it as a Giant. 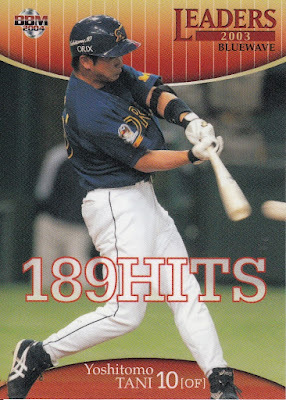 He lead the PL in steals in 2002 and hits in 2003 - his 189 hits that year are a PL record for a right handed batter. 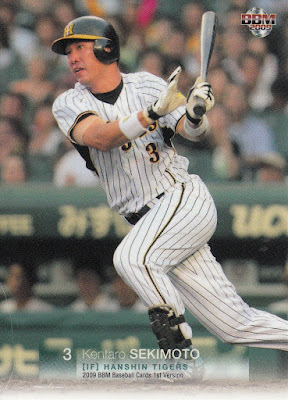 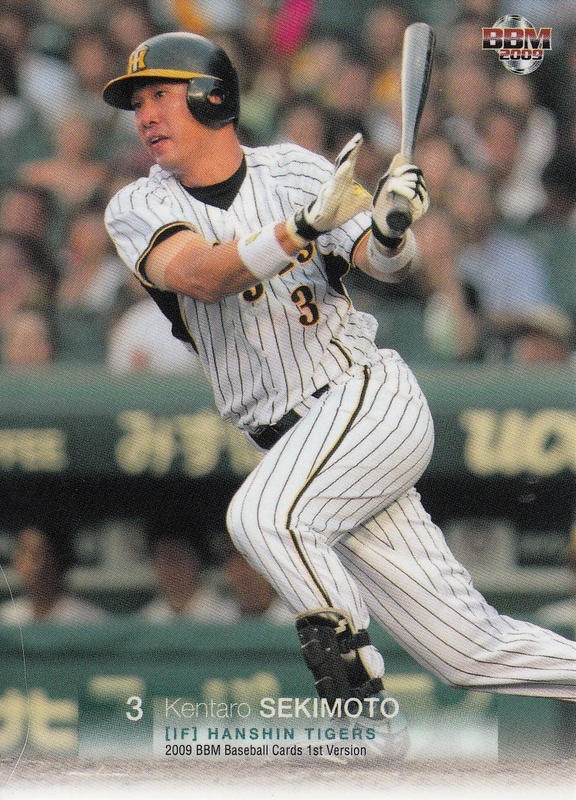 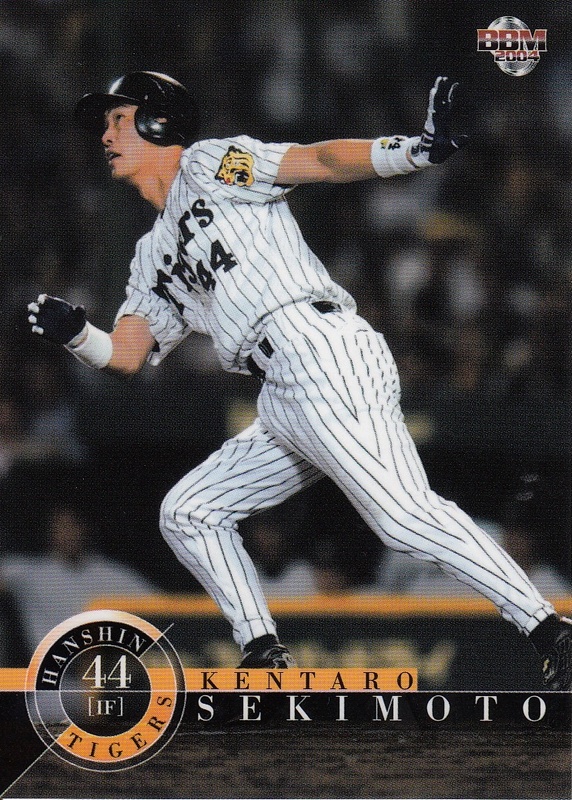 He also set an NPB record with 52 doubles in 2001. He played in three Nippon Series (2008-09 and 2012) - all with the Giants. 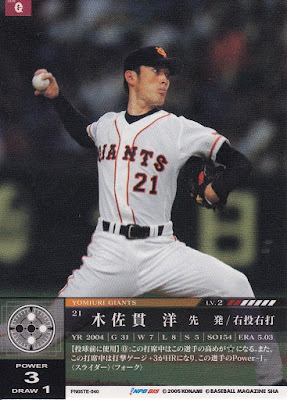 (He was with the Giants in 2013 but did not appear in the Series.) 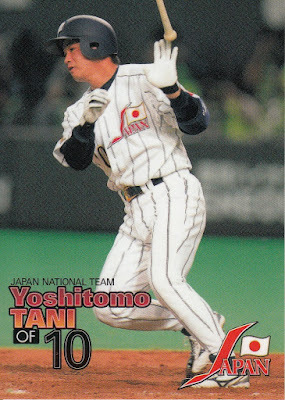 He played for the Japanese National Team in the 1996 Olympics as an amateur and in the 2004 Olympics as a professional. 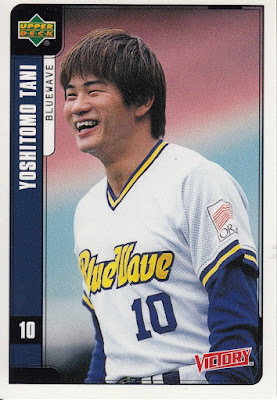 (He also married Ryoko Tamura, an Olympic judoka - while they both won silver in Atlanta, she took home gold in Athens while Tani and the baseball team did not medal.) He also played for the National Team in the 2003 Asian Games, a qualifier for the 2004 Olympics. His BBM rookie card is from the 1997 set (#446). 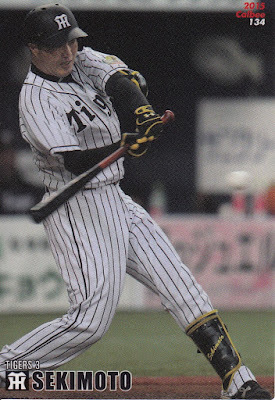 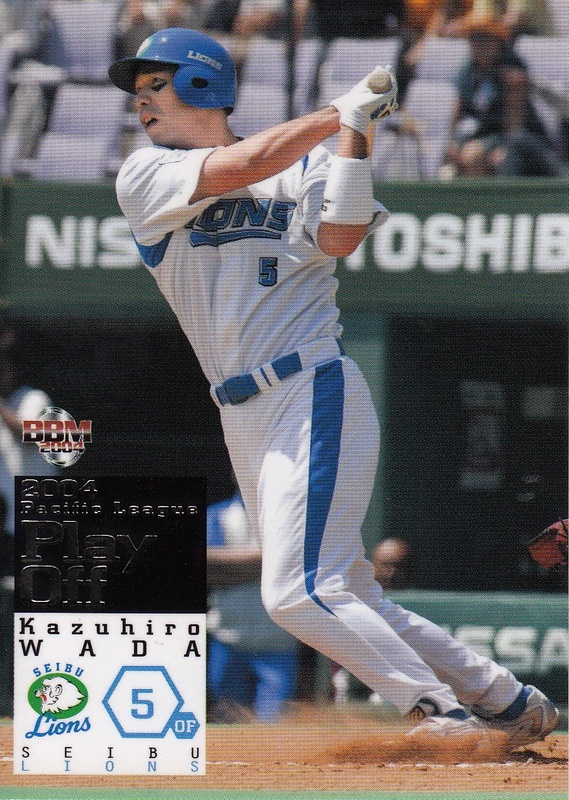 His first Calbee card is #152 from the 1998 set. With Alex Ramirez being named manager of the Yokohama DeNA Baystars last week, NPB has its first Western manager since 2010. 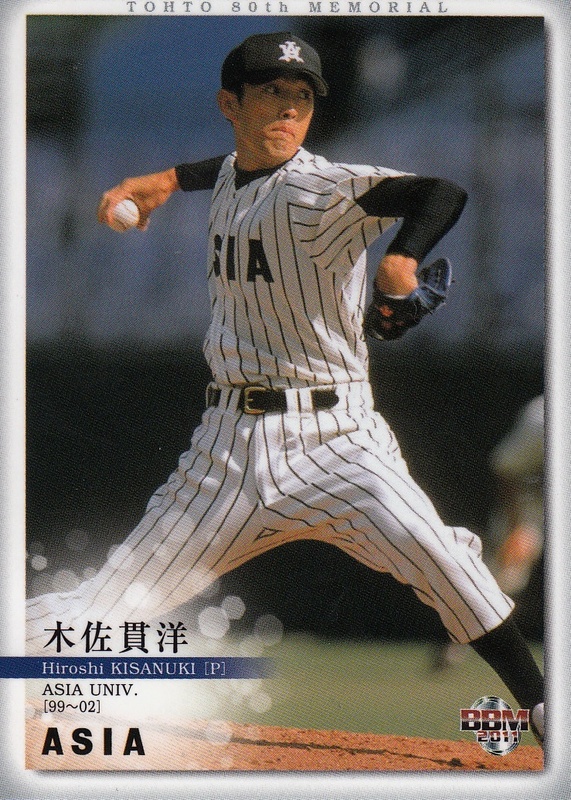 I thought I'd quickly do a run down of the seven Westerners who previously have managed in Japan. 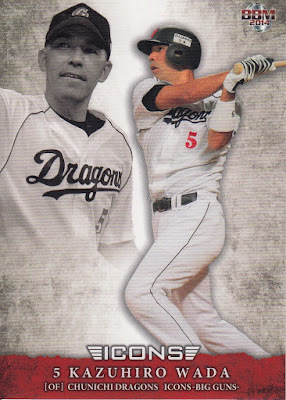 *I want to clarify something here quickly - Lutz was the first Westerner to manage in Japan but he was not the first American - Wally Yonamine became manager of the Dragons in 1972. 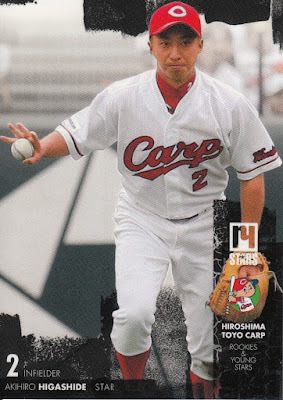 Yonamine was a second generation Japanese-American (nisei) born in Hawaii. 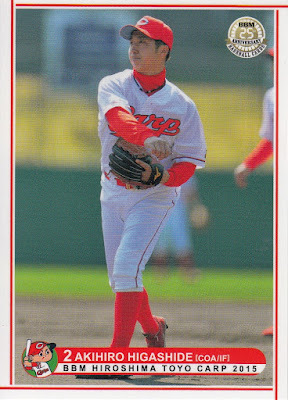 The next Westerner to manage in Japan was Don Blasingame*. 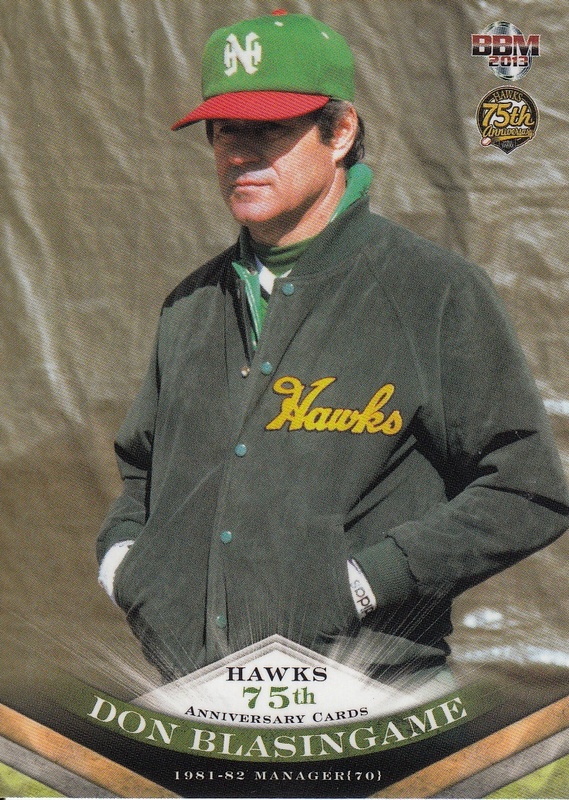 Blasingame (aka "Blazer") had played for the Nankai Hawks for a few years in the late 60's and was head coach for Katsuya Nomura when Nomura was player-manager for the Hawks in the 1970's. He left the Hawks when Nomura was fired following the 1977 season and spent 1978 as a coach for the Carp. 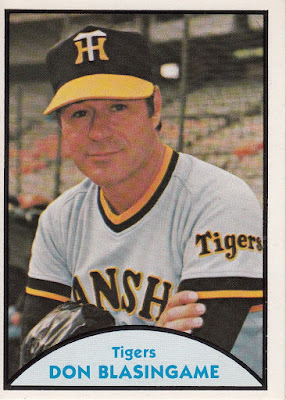 The Tigers hired him to manage their team in 1979. He resigned 26 games into the 1980 season after a dispute about playing time between Dave Hilton and Akinobu Okada. 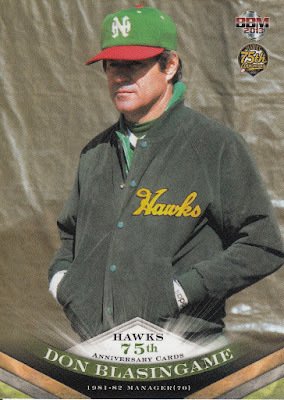 He was then picked up by Nankai and managed the Hawks for the 1981-82 seasons. 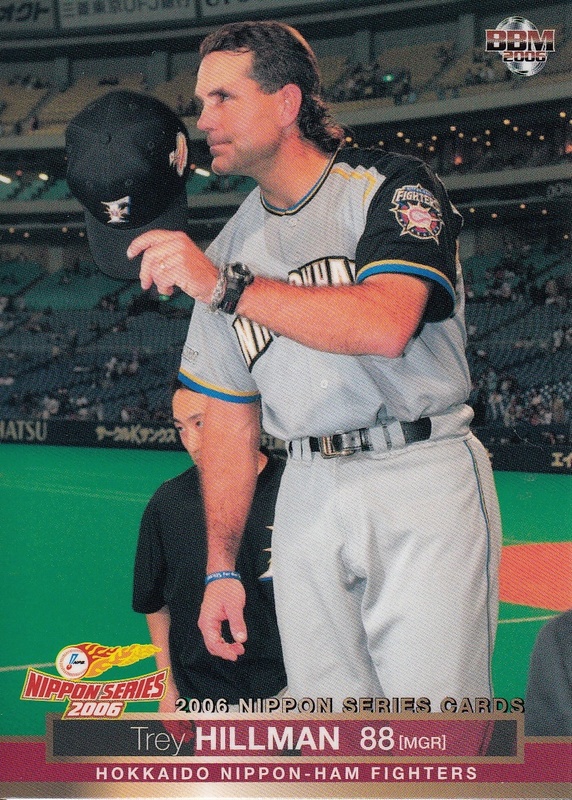 *One odd little tid-bit of historical trivia is that the second Western manager in NPB history was very nearly Leo Durocher. Durocher was hired to manage the Taiheiyo Club Lions in 1976 but he resigned due to health reasons before the season began. The next Western manager was Bobby Valentine, who was hired by the Chiba Lotte Marines in 1995. Valentine had a very successful year, leading the Marines to a second place finish which was their highest finish in ten years, but was let go at the end of the season due to some front office intrigue. 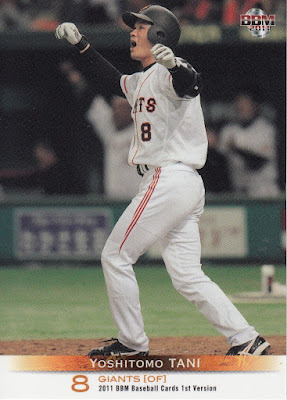 He returned to the Marines in 2004 (after having managed the Mets from 1996 to 2002) and lead them to a Nippon Series championship in 2005. 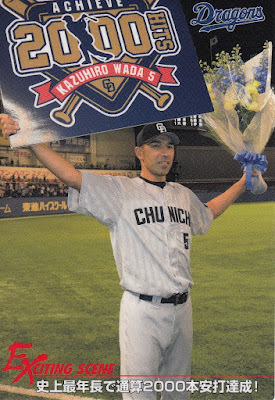 He was the first Western manager to win a Nippon Series* and the only manager to ever lead a team to both the World Series and the Nippon Series. 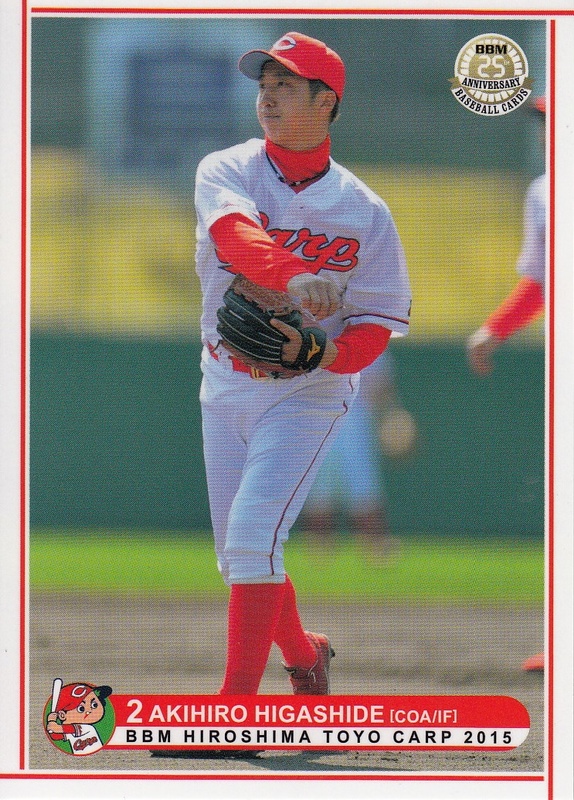 He was fired by Lotte following the 2009 season, again for reasons involving front office intrigue. 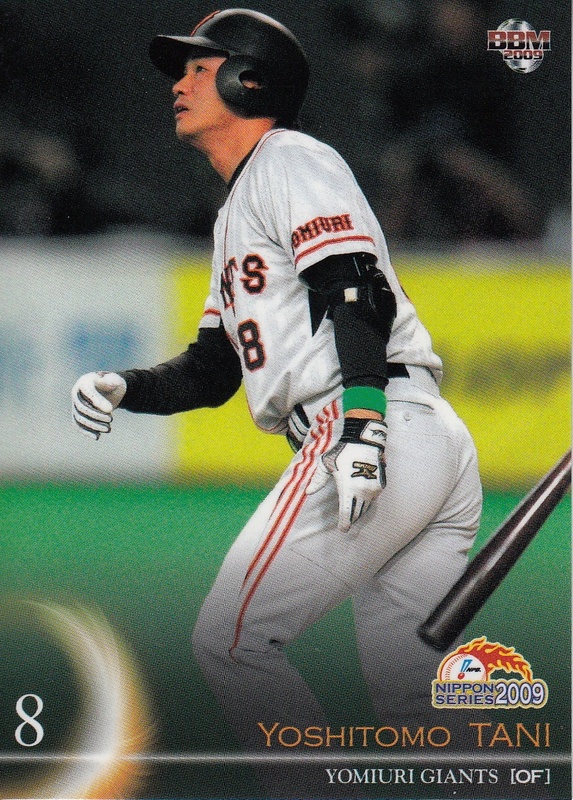 *He was not the first American manager to lead a team to the Nippon Series - the afore-mentioned Wally Yonamine lead the Dragons to the Series in 1974 before losing to the Lotte Orions. Trey Hillman became the fourth Westerner to manage in Japan when he was hired by the Nippon Ham Fighters in 2003. 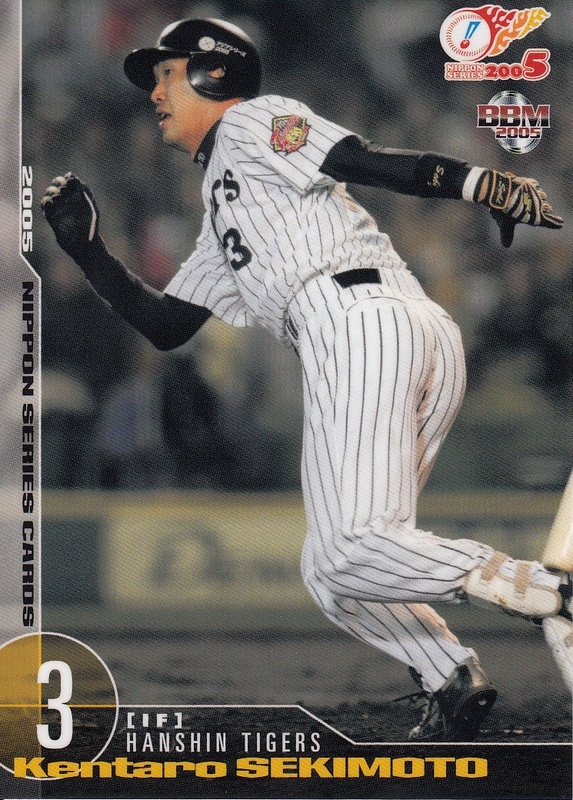 He lead the Fighers to back-to-back Nippon Series appearances against the Dragons in 2006 and 2007 - winning it all in 2006. 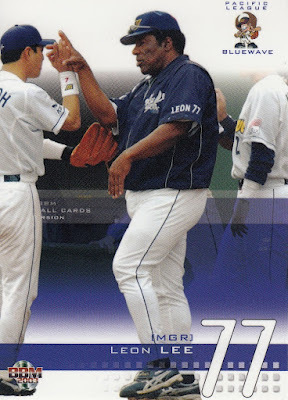 He resigned following the 2007 season to become manager of the Kansas City Royals. Leon Lee spent 10 years playing in Japan for Lotte, Taiyo and Yakult between 1978 and 1987. 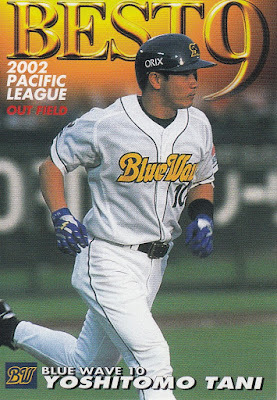 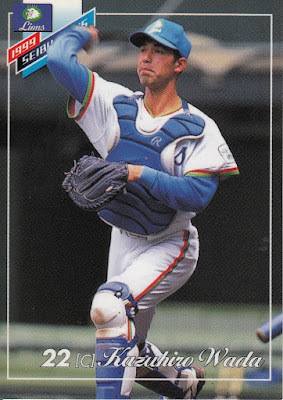 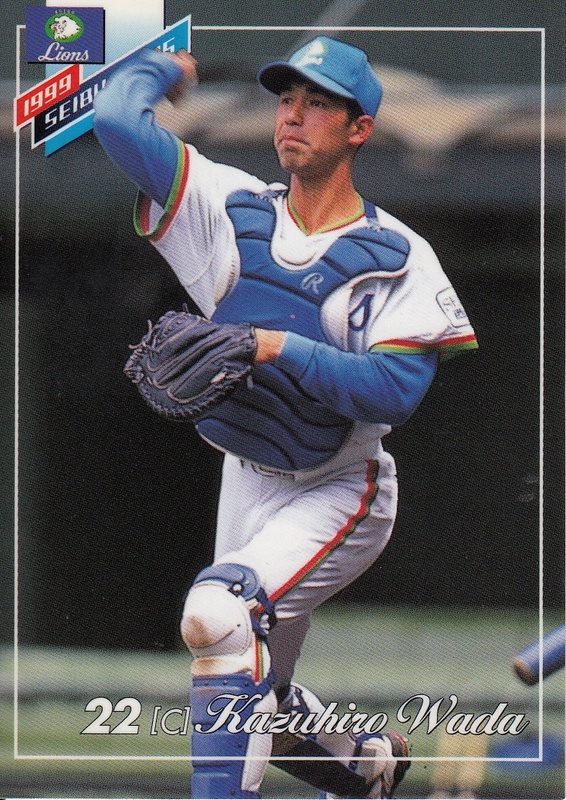 He was hired by the Orix Blue Wave as hitting coach for the 2003 season. When Orix fired manager Hiromichi Ishige a month into the season, they named Lee manager. He managed the team the remainder of the season but the team brought in Haruki Ihara to manage for the 2004 season and Lee returned to the US. 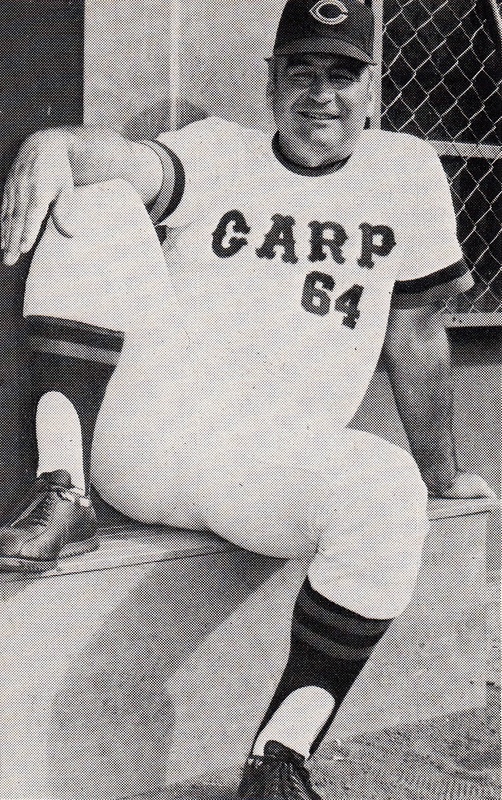 31 years after hiring Joe Lutz, the Carp hired their second Western manager - Marty Brown, who had played three seasons with the Carp in the early 1990's. 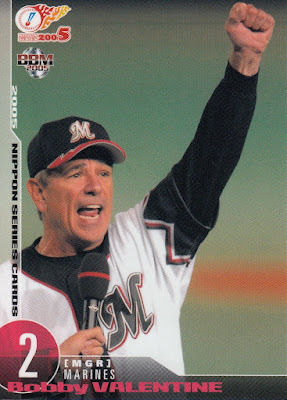 Brown managed the team for four seasons from 2006 to 2009 and had one fourth place finish to go with three fifth place finishes. 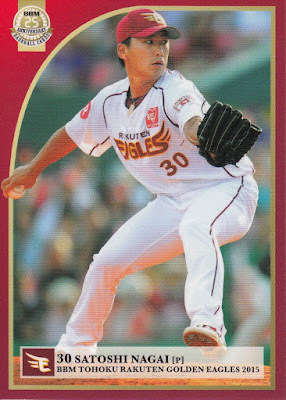 After being let go by the Carp, he was hired by the Tohoku Rakuten Golden Eagles for the 2010 season. 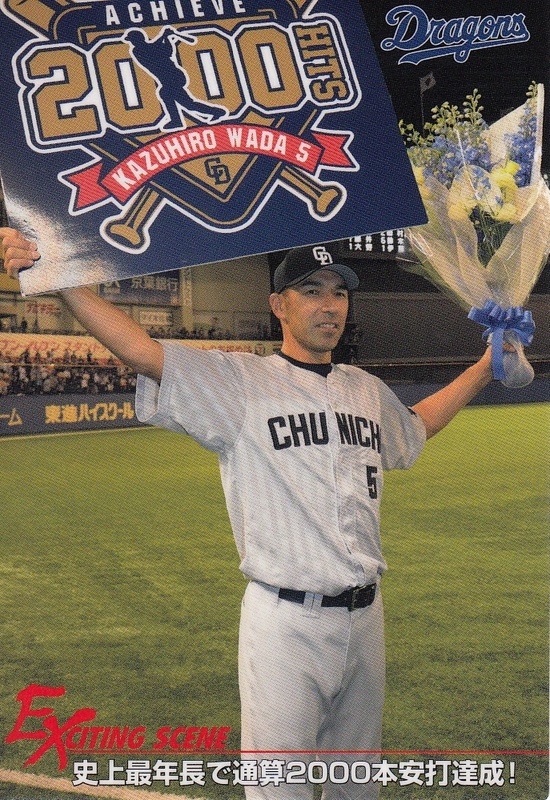 He was fired after he finished last in his one season with the team. 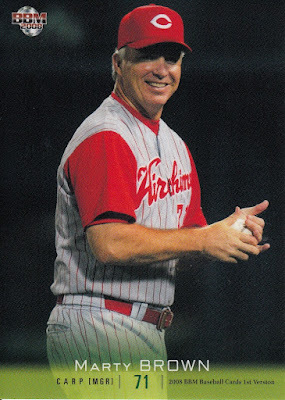 The seventh and final (until Rami-chan) Western manager in NPB was Terry Collins. 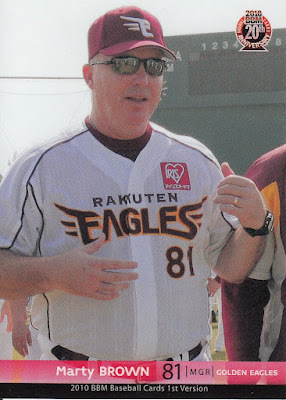 Collins was hired by Orix prior to the 2007 season. He resigned abruptly during the 2008 season due to a dispute with the team's front office. 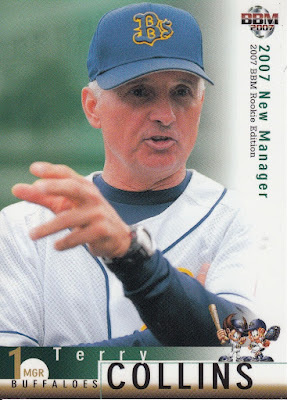 He managed the Chinese team for the 2009 World Baseball Classic before being hired by the Mets organization in 2010 and becoming the team's manager for the 2011 season. 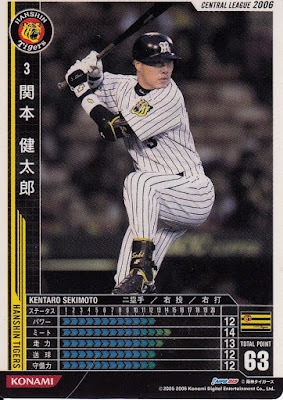 Last Of The 2015 Sets?